The AGOA Forum is the centerpiece of the United States government's trade policy with sub-Saharan Africa. The 2011 Forum themed “Enhanced Trade through Increased Competitiveness, Value Addition and Deeper Regional Integration” marked the 10th year that government officials, business leaders, and civil society from African countries and the United States convened to promote trade, business, and investment opportunities that sustain economic development in Africa. The AGOA was signed into law on May 18, 2000 as Title 1 of The Trade and Development Act of 2000. The Act offers tangible incentives for African countries to continue their efforts to open their economies and build free markets. AGOA by design represents a progressive U.S. trade and investment policy toward the continent working to reduce barriers to trade, increase diversified exports, create jobs and expand opportunities for Africans. AGOA provides trade preferences to 37 Sub-Saharan African countries including Zambia that are making progress in economic and political reforms. During the forum which was graced by our President. Mr. Rupiah Banda and US Secretary of State, Mrs. Hillary Clinton, sessions were held for the private sector and civil society as well as exhibitions by micro, small and medium scale entrepreneurs (MSME’s) within the Mulungushi conference centre and across at the Arcades shopping mall. Generally the sessions were rich and the displays impressed but one thing that clearly stood out was the quality, not of the products, but of the packaging from our Zambian side - that is for those who even attempted to package their products. This issue is a recurring one whenever one talks about our local products. If we are to take advantage and benefit from the AGOA, we have to pull up our socks. No question about that. Had the case been otherwise, we could have actually registered a significant number of deals being clinched with the Americans. It is incumbent upon all stakeholders to do what needs to be done to ensure that goods we would like to sale outside our borders are of international standards to say the least. Some of the products that face export packaging problems include cashew nuts, honey, glycerine for cosmetic purposes, cotton wool, handicrafts, processed and refined products, dried foods, among others. We need to address issues of quality packaging as well the many supply side constraints our businesses continue to face. 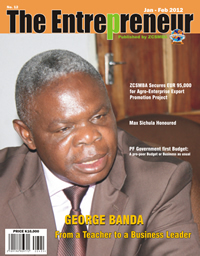 As an apex organization for MSME’s, ZCSMBA is fully aware of the need to prepare Zambian entrepreneurs for the export markets be it regional or international as is the case with the AGOA. One of ZCSMBA’s answers has been to design interventions, forge partnerships and source funding for well thought out interventions. It is in this line that ZCSMBA is now the Zambia focal organization and implementing partner for a proven successful programme in the name of ACCESS! The ACCESS! Programme is meant for African business women in International Trade and it is part of the building African capacity for trade (PACT II) programme. It is being implemented in partnership with COMESA, and funded by the Canadian International Development Agency (CIDA) through the International Trade Centre. It aims at enhancing the competitiveness of women-owned enterprises in Africa and at promoting concrete business opportunities in international markets. It targets African women entrepreneurs who have already attained a fair level of management competence and are actual, emerging or potential exporters. 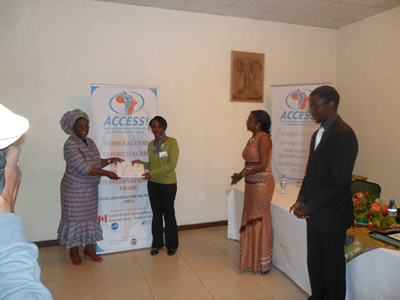 Developed in 2007 under PACT I, and further enhanced under PACT II, ACCESS! Services are currently being offered to a total of 5 COMESA countries. These include Ethiopia and Uganda (which were already benefiting from ACCESS! I) as well as Kenya, Uganda and Zambia (as new countries). Zambia is being referred to as a ‘new country’ because it was not a direct ITC-PACT beneficiary, but benefited through the Trade Facilitation Office of Canada on a pilot basis. 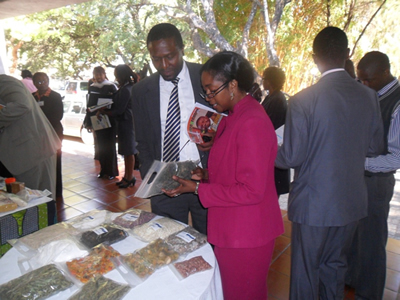 ACCESS!I was implemented by the ZDA and saw over 85 entrepreneurs successfully enter the export market; Sylva Food Solutions and FreshPikt being among the beneficiaries who have since signed major deals with American companies under the AGOA. Now in its second cycle, the ACCESS! II programme for Zambia was officially launched on 20th June 2011 at ZAMCOM Lodge by Zambia Development Agency Director General Mr. Andrew Chipwende. 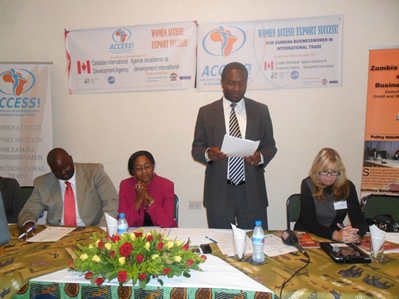 Speaking at the Launch, Mr. Chipwende highlighted the overall objective of ACCESS! 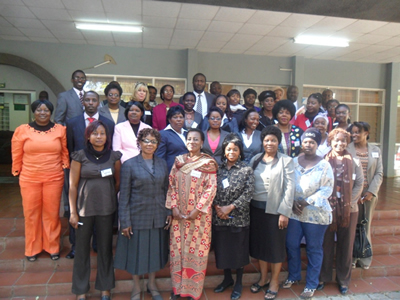 as a trade capacity building programme which is meant “to enhance the capacity of existing and emerging Zambian exporters to engage in international trade and to augment their export-readiness and competitiveness in terms of how they approach and sell to foreign markets, and is designed to enhance export knowledge and skills, and improve the capacity of business support organizations geared towards the private sector with the ultimate goal of supporting the growth and diversity of Zambian exports”. Speaking at the same ceremony, ZCSMBA Executive Secretary Ms. Patience Sakuringwa in her opening remarks expressed optimism on the success of the programme She added that chances of export success for MSME’s would only be enhanced by building their international trade skills in selected economic sectors to help them explore new frontiers, hence the value of the ACCESS! package. A comprehensive and customized exporters’ training programme focusing on selected sectors in which women are traditionally involved and for which a significant export potential has been identified (ago-processing, leather and textiles/handicrafts). In addition, the programme strengthens local trade-related training capacity reaching out to women entrepreneurs, through partnerships with African training organizations and business associations such as ZCSMBA’s affiliates and the African Women Exporters Programme (AWEP). Business counseling to selected enterprises to support them in developing and implementing their individual export strategies complementing the exporters’ training with tailor-made expert advice and guidance from certified trainers and sector specialists. Market linkages allowing selected women entrepreneurs to access foreign markets through Trade Fairs, Buyers-Sellers meetings, Trade Missions or other international Trade Events etc. And a web portal (www.womenexporters.com), facilitating women entrepreneurs’ access to relevant export information tools and services, and providing an opportunity to showcase their company’s capabilities. Beneficiary of ACCESS and clincher of a multimillion dollar-lucrative deal under AGOA, Mrs Sylvia Banda of Sylva Food Solutions gave very useful advice and valuable tips to her fellow women entrepreneurs. Mrs. Banda was speaking as Guest of Honor in her capacity as AWEP Director during the closing of the first Generic Export Readiness training workshop which followed immediately after the launch and lasted for five days. The workshop saw the first batch of 25 participants graduate under the tutelage of local resources persons who were trained under the trainer-of-trainers modules. A series of workshops are scheduled to be held. Next is Kitwe this July and will be rolled out to other parts of Zambia depending on the demand. All export-oriented businesses wishing to take advantage of the AGOA are encouraged to participate.